A caravan did a u-turn in front of Craig Dunn in his truck. IT WAS just a normal night for truck driver Craig Dunn when a ute and caravan pulled out in front of him to do a u-turn. 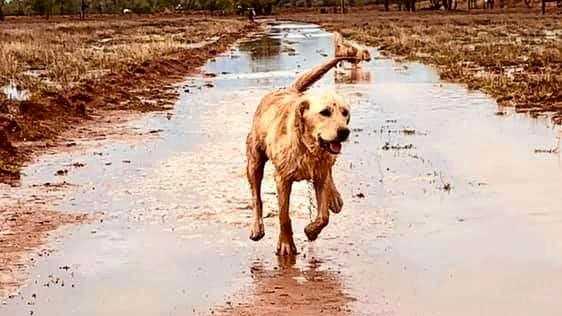 He was heading south out of Finley in a B-double and had just hit 100km when he saw the ute and caravan on the side of the road. 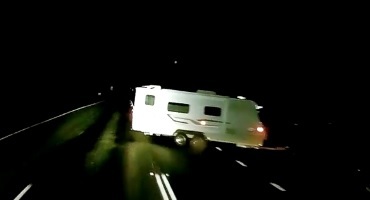 Caravan uturn: Craig Dunn shared this dash cam video of a caravan doing a u-turn in front of him in the dark. "As I was approaching the ute and van indicated with its right indicator and the proceeded to do a u-turn in front of me," he said. "I just hit the brakes and flashed (my) high beam at him and swore a little bit. "Thankfully I was only weighing 30t and not the 60t that I would normally be and I was able to stop in time. "When I saw the ute and van I did move to the right slightly to give them a bit of room but I didn't expect them to do a u-turn." He said he wasn't scared - but more apprehensive about the fact that he could have injured or killed someone through "someone else's lack of care and stupidity." Craig said he didn't see incidents like this much, it was more car drivers than caravanners he said. "Most of the caravaners are good, it's just a few odd that have no idea," he said. "You see more cars doing stupid stuff like overtaking on double lines, overtaking on corners and pulling out in front of trucks at traffic lights."